At April 14 th, we started our travel to Boston with a short stop at Amsterdam. We saw new places, met new people and enjoyed spending time with some good companionship. If you are curious what this travel looked like, you should continue reading. 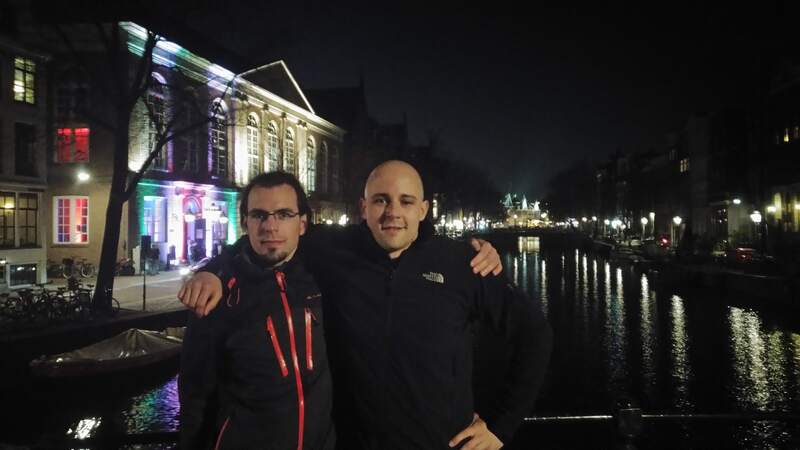 We started our travel to CF Summit Boston 2018 with a visit to Amsterdam. Some of you might ask why Amsterdam? It’s simple: Amsterdam is one of Europe’s nicest historical places, dating back as far as to the time of the old romans. And having a nice weekend with your colleagues before going to a conference is always a good idea. Our hotel was based in the middle of Amsterdam and we had a nice dinner at a local steak restaurant the first day. After we have been fed, we ran out to see some of the cities places. Amsterdam is very crowded during day and night and there is a lot to see if you visit the city for the first time. We walked through the infamous red light district, saw the Amsterdam museum and switched to a boat tour when our feet couldn’t carry us any further. So we went to Amsterdam on Saturday and took the airplane to Boston on Monday. After a short flight of eight hours we arrived in Boston at noon. And, boy oh boy, it was raining like hell. We arrived on Monday April 16 th, the day where the famous Boston marathon took place. Still trying to figure out how people were able to run around 42 kilometers in that weather but for us it was more important to grab some steak at Mortons. After some good conversations with rib-eye steak and red wine, we came back to the hotel and gave us some well deserved rest. 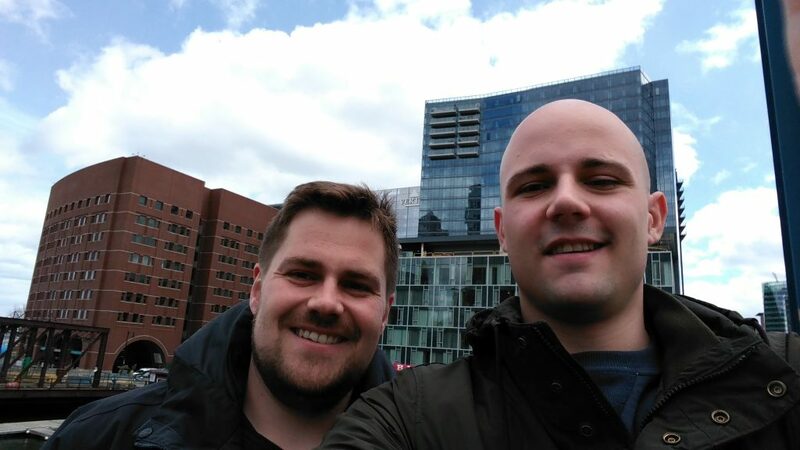 On Tuesday we had some time to get a first impression of Boston. And what should I say: the architecture is amazing. On our way to Quincy Market we came across some very impressive buildings and ended up drinking coffee at a chocolate manufacturer. Boston is not like the typical metropole cities, where huge buildings connect between tiny streets. Instead you get some free space to breathe and some of the most impressive monuments I have seen so far. On Wednesday we found this amazing place called Pete’s Dockside which should serve us breakfast for the rest of the week. It was also the first day of the CF Summit. So we prepared our booth, ironed the shirts and got the goodies ready for you. We had the impression that this time CF Summit was very technical. And that was great as most of us are from the dev department. Seriously, we got some really interesting conversations at our booth time. I am always surprised by the easiness and and velocity to connect with other people that have similar technical background. On Thursday anynines CEO Julian (follow him on Twitter under @fischerjulian) and I got really excited about the talks we had to give later that day. I kept checking the attendees list probably a hundred times that day and got really nervous. But everything went well, after all. You guys were an amazing audience and sharing our ideas about data services, Cloud Foundry and Platform Automation was my highlight of the week. After the talk I was really exhausted and we went to the hotel to drink a beer. Friday was the last day of the CF Summit. Coming to the booth that day and preparing for you to come into the main hall was like seeing good old friends again. We tried to distribute as many anynines shirts & bags as possible so you have something at home to remember us! We shut down our booth at 4 pm with mixed feelings. 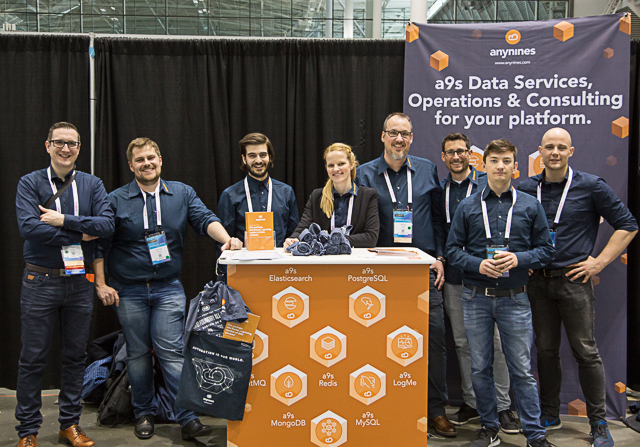 On the one hand, we have been happy to enjoy some free time in Boston with our colleagues, on the other hand, we had a lot of fun attending the keynotes, talks and booth time at the CF Summit. 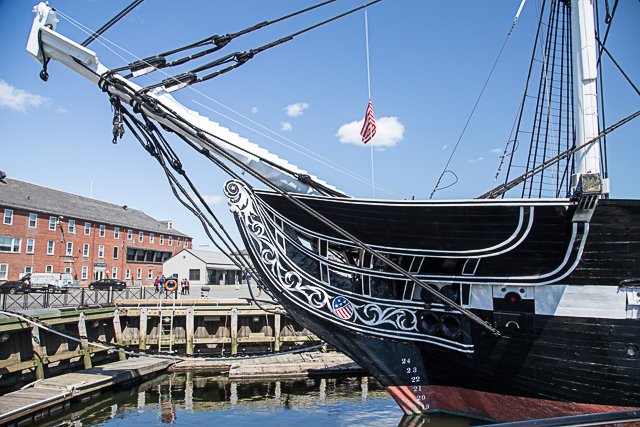 After we saw the USS Constitution, Lucas and I took the boat back to the hotel. Yes, you heard me right: the boat! It seems to be the most legit way to travel by boat through Boston. And it is always worth doing so. While you drive from one pick up point to the other, you can enjoy a very nice 360 degree sight on Boston. Especially that day, where we could see the sun for the first time again. So that’s it, a nice week of new impressions, new friendships and good food is over. But we are really looking forward to renewing our new friendships with you at CF Summit Europe in October. We will also write a blog post about the CF Summit conference. So, taking a closer look at our blog is never a bad idea! 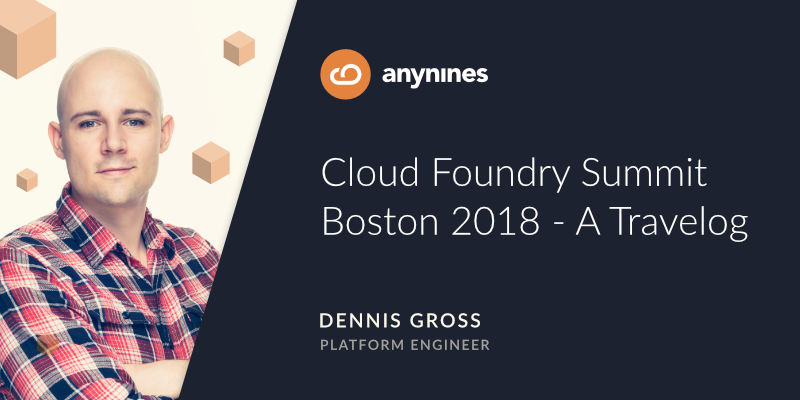 Learn more about the Cloud Foundry Summit Europe 2018 and register now by clicking the banner.